The All Party Parliamentary Committee on e-cigs met again yesterday (you can see details of the last one here). Clive Bates and Oliver Kershaw of E-Cigarette Forum were the main speakers, and the committee focussed on the Public Health England report and its impact. Are you watching Wales’ Health Minister, Mark Drakeford? Outside the EU in Jersey things are looking bleak, considering we are NON EU, we should never have the TPD implemented directly, however as our suppliers are based in the EU would have by extension been restricted by what they could sell, had this not been my thoughts I still would have supported any vaper out there wherever they were in the world, and I have been active in signing everything I am able, completing surveys etc to this point as to my knowledge there was nothing more I could do from outside the EU ie writing to my politician would be pointless as it was not something that would effect our area. However our ‘Head of improvements’ ‘Mr Martin Knight’ seems behind in his information and unwilling to absorb the latest. To my knowledge there has never been any public awareness, news article or specific article relating to e-cigs in our news and article 20; yet only a week after the promising news the NHS supported the use of e-cigs. Within an article discussing smoking tobacco outside he advises. Not only will Jersey follow the TPD, more will be added to it here. It is my view he is going to make it impossible, at least until 6 months have passed to purchase and vape related equipment, as he intends to implement it immediately and if we are to follow regulations that will mean all the items currently on sale here have not been approved=No sale. The reason the UK has until May to follow the regulations, is to allow time for changes to be made, for as it has been suggested, and products wishing to be sold need to be sent for authorization 6 months before the intended sale. This will be impossible for us, as our vendors will not have been able to apply in the past. In addition I have concern with importation of items like e-liquid via mail order etc, and if you live here you know we don’t have a selection much above the garage variety, When covered by the TPD, these items (for us) will be in the same grouping as tobacco, which we do no allow personal importation via the postal system additional concerns due to comments by Mr Knight also lead me to believe this may be an area he wishes to control or restrict. My concerns stem from his interview where he states ‘At the moment lots of purchases are made over the internet, which is unregulated. Research has found dangerous chemicals in some e-cigarette products. He plans to impose the regulations on all regardless of nicotine content (the UK will also have 0% in the legislation) He went on to say ‘People are far more likely to ditch the habit using a local quit clinic’, and ‘At the moment we can not guarantee the safety of the products, the long term effects are not yet known, we must act soon, as any government with a sizable population would’ he went on to say he wanted this in place long before the end of the year, my estimate would be 2-4 weeks after the UK TPD is finalized it will be drawn up with the added bells and whistles required for a backward behind the times island, with a closed mind government system. It seems his ideas are not up to date, nor willing to consider most recent studies and highly published positive praise for e-cigarettes, as despite the interviewer pointing out the latest findings it was not enough to steer him. It also seems although we are all too aware of the long term effects of tobacco, given any alternative that the public have embraced and use to success, is not enough to sway the thoughts of ‘local quit clinics’ either. Which some may find useful, especially those newer to tobacco smoking, or not smoking large amounts daily, but many of us will recall how effective they were in our many previous quit attempts along with the current NRT therapy’s that only cater for the 20 a day user. Here it seems no one knows about article 20, or no one is talking about it, trying to get anyone to listen to change here is an impossible task in any regard, however now I am aware of the intentions I plan to do all I can to make our tiny amount of vapers aware, and the public in general to gain support. 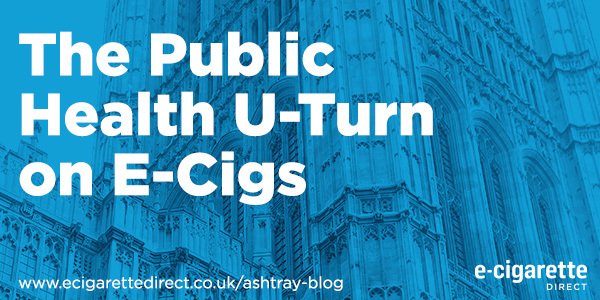 This week I will be writing to Mr Knight, our version of politicians and approaching our news outlets to see if they will at least make vapers aware of article 20, the brief outline and the Totally Wicked Challenge, being we can’t stop the article, (I am referring to the UK and now by extension here), they are the last hope at amending it to hopefully suit vapers needs, not what it is felt we need by those who are just acting on a variety of studies, many debunked but the information is hard to forget, these people making the decisions may have no realistic idea what works for us, which is reflected in article 20 as it currently stands. A personal note to anyone in the C.I if your out there, get involved too, if you haven’t already because it is happening here and in addition to all the signing as vapers we should have done already to support fellow vapers, we now need to contact our States Members, this is no longer just the UK/Ireland we have a duty to fight this locally too, or the reality for us is, it could all go away, at best we will be left with the stocks you see in the vape store, no more DIY- ever if you live here you will know we can’t source any f the 3 ingredients, and whilst maybe you can swing a bottle of VG, you wont be getting that 72% through customs, perhaps even PG, after all why would someone need that – try explaining that if customs ask. No more of your regular brands just those 2 high PG ones carried to get smokers on the ego sticks; again if we can even manage to keep our vendors open. as our online sales rights could be taken away and speaking to one of our local vendors, this would mean them too, so how will they stock up…come on off your butts and get those fingers clicking, someone else has to be out there. He’s only half correct on the internet unregulated issue. 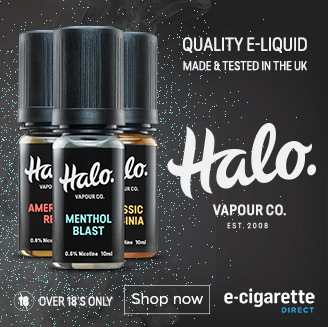 E-cigs sold in the UK are regulated, for example four market stalls in a local town had their goods confiscated by police and trading standards because they could not show documentation. The problem is that there are so many internet sites that many manage to get away with selling non-compliant products. Can you send your Martin Knight the Public Health England report?